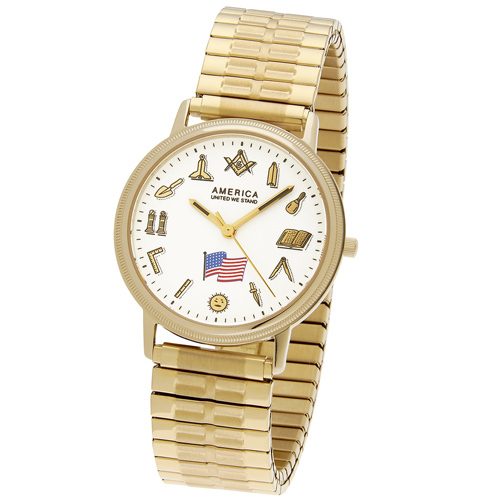 Masonic watch has a 36mm yellow gold stainless steel case toned with Masonic symbols denoting hour marks. Expansion gold-tone stainless steel band. Fine quartz Swiss ETA movement, white round face. Sapphire crystal. Limited 1 year warranty. Manufactured by Dason-Reis.